This year’s feast of our Cistercian Founders, Saints Robert, Alberic and Stephen was particularly special as we celebrated the 25 year ‘Silver Jubilee’ of Sr Stephen’s monastic journey here at Glencairn. 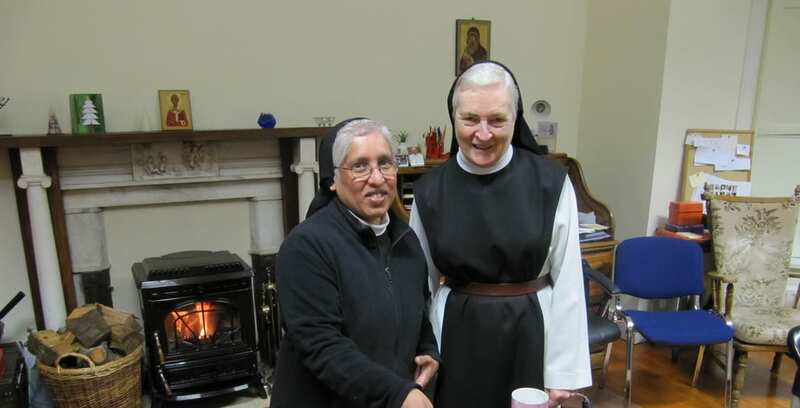 A teacher of mathematics and english, Sr Stephen began her Cistercian journey in her native India, entering the community of Makkiyad (now located in Kunnambetta, India) and made her first monastic profession in 1994. She changed her vow of stability to Glencairn in 2010. Yesterday on the feast of the Cistercian Founders, Saints Robert, Alberic and Stephen, we gathered after the liturgy to ‘cut the cake’ with her and she shared her story with us of how God’s hand has been in her life guiding her since she first heard the call to the monastic way of life. We thank God for Sr Stephen’s gifted, dedicated presence among us and look forward to many more years with her in this Cistercian School of Love. You may wish to read our Chaplain Dom Augustine’s homily for the feast of the Founders here.